The Anna Lindh Foundation for Inter-Cultural Dialogue (ALF) an organisation which promotes knowledge, mutual respect and intercultural dialogue between the people of the Euro-Mediterranean region, working through a network of more than 3,000 civil society organisations in 43 countries, is holding the third Preparatory Meeting of the Anna Lindh Forum 2013 from 28 February to 1 March in Barcelona, Spain. The theme of the meeting will be ‘Media facing tensions and transitions in the Mediterranean’. The meeting is a preparatory event of the Anna Lindh Mediterranean Forum 2013, which will be a landmark gathering of 1,000 leading civil society actors and policy makers following the Arab Awakening and the crisis in Europe. The Euro-Med Media Meeting will shape the Forum’s media track debating and developing actions aimed at supporting journalists in facing the challenges of the new social and cultural landscape which is emerging in the region. The Meeting will be co-organised with the ALF Head of the Spanish Network, the European Institute of the Mediterranean (IEMed) and the Secretariat of the Union for the Mediterranean with the media partnership of France 24, RFI and Radio Monté Carlo Doualiya. The event will gather participants from ALF Networks, existing regional platforms/networks, experts and grassroots level representatives working on media related issues. Twenty participants will be identified through the call for participation, and around 30 experts from the field of media will be invited from the host country and the other Euromed countries. The deadline for application is Thursday 10 January 2012 (00:00 Egypt Time – GMT+2). Expressions of Interest received after the above deadline will not be considered. CCMC reserves the right to accept or reject any Expression of Interest. 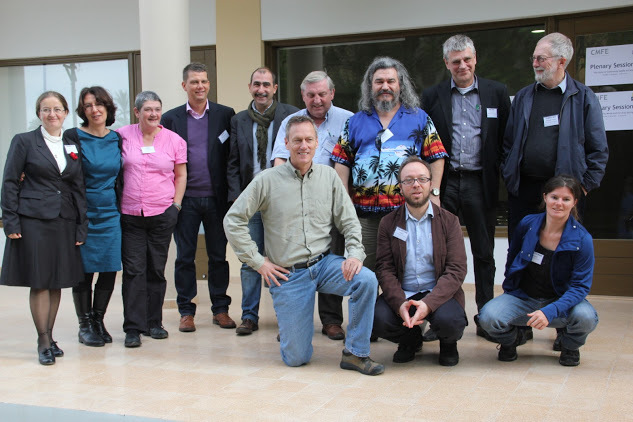 CCMC has quite a few claims to fame, but if we are not mistaken the idea of mapping the Community Media landscape in Europe for the first time was born in Nicosia during the first annual CMFE Conference last November. The project aimed to create a complete picture of the European Community Media sphere so as to inform policy decisions for institutions such as the European Union and the Council of Europe. A survey was created by the Community Media Forum Europe (CMFE) with the help of the European Platform of Regulatory Authorities (EPRA) and its members as well as some national federations, targeting 49 countries, with data now available for 39 of them. The next task for CMFE will be to rate each European country in order to enhance the development of community radio and community television in Europe, and we look forward to working with them on creating a more enabling environment for Community Media in Cyprus. Need an Incentive? Check out our Awards for Media Collaboration! The summer is well and truly over! 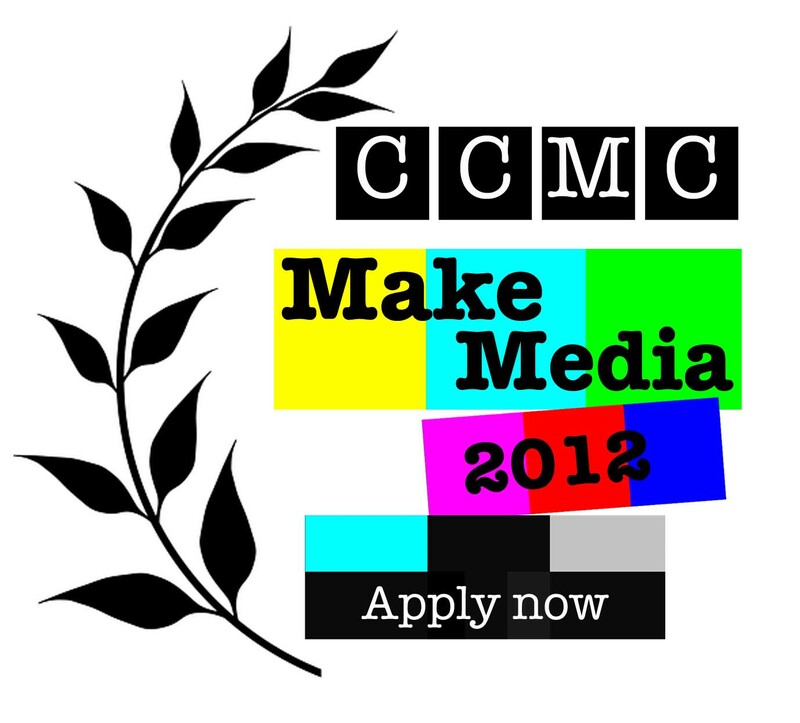 Following hot on the heels of the launch of Make Media 2012 CCMC is taking another bold step towards promoting deeper collaboration between the media across the divide with the launch of its groundbreaking Incentive Awards for Media Collaboration. Many of you will remember, or will have been involved in, the Collaborative Media Initiative, or CMI for short, a project run under the auspices of CCMC. 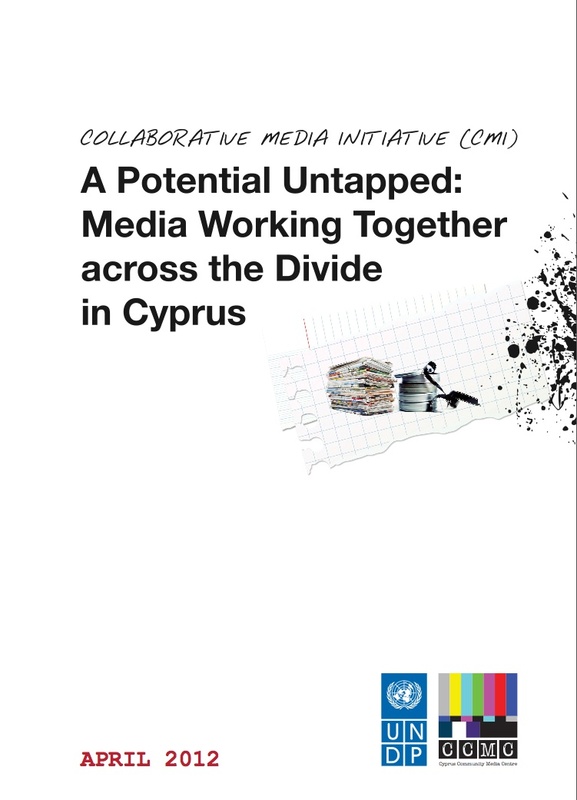 Well, the final report entitled “A Potential Untapped: Media Working Together across the Divide in Cyprus” (read the whole report on our issuu account) recommended that CCMC continue its work in promoting professional collaboration between the media in Cyprus, as well as position itself strategically as a ‘first point of call’ for all interested in working with colleagues based across the divide. Online Media: for the creation of web-based forums for information exchange and the sharing of opinions across the divide. Help us spread the word, and encourage potential applicants to read the Terms and Conditions and submit an Expression of Interest (EOI) form. Both documents are available here. The total budget we have earmarked for the Incentive Awards is €15,000, and we are accepting applications in English, Greek or Turkish. We’ve set a deadline for submission of the EOI forms on 30 September 2012. The internet is an incredible source of information, and we are reading and learning every day about issues we care about. So we thought that we would share with you the 5 most interesting links from the world of media, and this week our focus is on media, or communications more generally, for development. 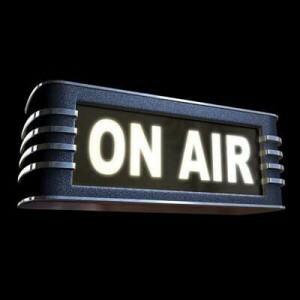 Direct from the blog of Panos London comes a post from Mary Myers, a communications for development consultant specialising in radio in Africa, who has been pondering the question of whether “a pluralistic media can make the government more accountable”. In her post, Myers grapples with the academic angle of answering “yes” to a question that in reality is quite difficult to measure, based on a report she published for the Center for International Media Assistance. Read on to find out which theorists made it onto ‘who’s who’ list of media for development gurus. Staying with the academic side of things, and a new book by Linje Manyozo from the Department for Media and Communications at the London School of Economics (LSE). 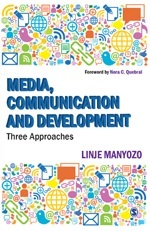 According to Ørecomm: Centre for Communication and Glocal Change, the book “critically investigates the three approaches that have characterised most debates in the field of Media, Communications and Development since its emergence in the 1950s, namely, media development, media for development and stakeholder and community engagement”. Ørecomm is a bi-national research group that originated at Malmö University (MAH) and Roskilde University (RUC) for research in the field of Communication for Development, and focuses on the relations between media, communication and social change processes at both global and local levels. 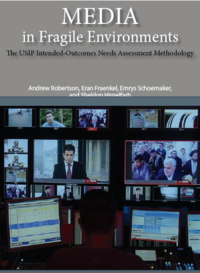 Today CCMC had the pleasure in meeting Eran Fraenkel, a media consultant and trainer who was involved in the development of the United States Institute of Peace‘s Intended-Outcomes Needs Assessment, or IONA for short, methodology, which will help address the lack of clear definition of expected outcomes for media interventions in conflict situations. We will certainly be taking a close look at IONA to see how we can best integrate it within our current working framework, as well as for any future projects we will be implementing in the field of development communications. 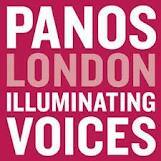 The Panos London blog has certainly made for interesting reading this week! Bec Shaw Crompton, Panos’ head of programme operations has been blogging about an under-estimated skills-set: project management. Most of us would agree that not enough emphasis is placed on this element of the institutional development of NGOs. He recommends Project Management for Development Professionals (PMD-Pro), the first internationally accredited project management course for NGOs, created by John Cropper who was Oxfam’s head of management accountability and is now a director at LINGOS (Learning In NGOs). Next step is to find out how we can get ourselves accredited on PMD-Pro! Last but not least, an entry from Accord, an international review of peace initiatives, published by the London-based organisation Conciliation Resources. In their piece on the role of media in peacebuilding in the South Caucasus, Rachel Clogg and Jenny Norton take a look at Conciliation Resources’ work in the region from 2002 to the present, showing how their work, in conjunction with others organisations focusing on the role of the media, have helped overcome borders, both real and imagined, that have kept people apart. Needless to say we understand how valuable this kind of work is given that we are immersed in this field day in day out. Let’s hope we can have the same degree of success, and perhaps at some point in the future we can work with Conciliation Resources in pursuit of what are obviously common goals.